Organize to enhance your leaders' unique strengths. 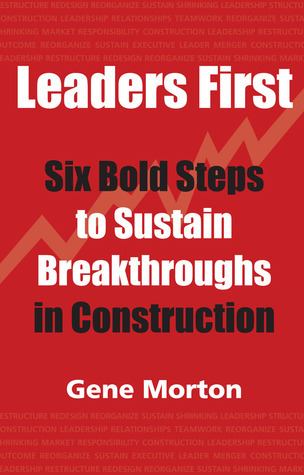 OD Consultant and Author of the two-time award winning book, Leaders First: Six Bold Steps to Sustain Breakthroughs in Construction. See excerpts at www.genemorton.com. Leader development and team development through coaching, consulting, and presenting on topics related to the structure of leadership in groups and organizations. Through his years of experience implementing mergers, reorganization, culture change, and organization transformation, Gene learned how an effective structure of leadership compensates for, and balances, leader blind spots, improving performance overall, and making innovation and change possible. He enjoys working in the construction industry, heath care, governmental, as well as the non-profit world. What if 100000 Dedicated Readers Saw Your Book’s Message? Shutdown or Reset: What Will Inoculate the VA Hospital Project Against Scope Creep?